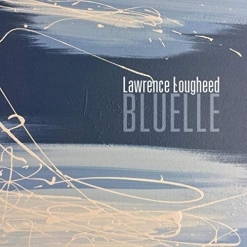 Bluelle is the fourth album from Canadian pianist/ keyboardist /composer Lawrence Lougheed and his first solo piano recording. Described as “full of elegance and refinement and will touch your soul from the very first chords,” the album maintains a peaceful vibe throughout and creates a warm and gentle atmosphere for relaxing, working, sharing a nice dinner or just enjoying some quiet time. All twelve piano solos are original compositions and improvisations. 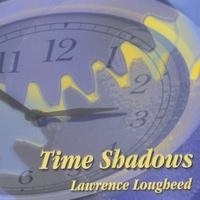 Lougheed’s previous albums are mostly electronic with some piano, so having a full album of piano solos is a treat! Lougheed is a classically-trained musician who taught music at the high school level for many years (now retired) and was the head of his school’s music department. He is also the Music Director for his church and is self-taught in contemporary improvisation. Bluelle begins with “Majestic Reflection,” a title that suggests (to me) a mirrored reflection of mountains on the glassy surface of a lake (or something similar). The music matches that description with passages that are bold and “majestic” and some that are much softer and more “reflective.” “Quiescent” is defined by Merriam-Webster as “marked by inactivity or repose: tranquilly at rest,” and the piece titled “Quiescence” is indeed very peaceful! The title track continues the soothing ambiance with just a touch of bittersweet wistfulness - a favorite! I also really like “Moonscape,” a much freer exploration that is probably mostly improvised. Darker and more mysterious, I find this one intriguing! “Calm of Darkness” returns to a serene, relaxed state. The warm and dreamy “Date Night” is another favorite and feels a bit like a romantic slow dance with a special someone when everyone else in the room seems to disappear. “Convergence” tells a story of the listener’s choosing. Some parts of the tale are more dramatic than others, but it is always very interesting. “Discovery” is another favorite with its poignant melody and purposeful feeling. Quite a bit of the piece is played in the higher range of the piano which feels lighter and more innocent, contrasted with passages that are played farther down the keyboard with more seriousness and weight. When I first started listening to Bluelle, I thought the closing track was a variation on the Pachelbel Canon, but it isn’t - it just shares some of the chord progressions. Titled “Crispin,” it’s a sweet and breezy ending to a very beautiful album. 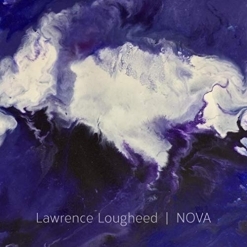 I have reviewed all four of Lawrence Lougheed’s albums and really like the calm and simplicity of Bluelle. Hopefully he’ll have another solo piano album for us before too long! 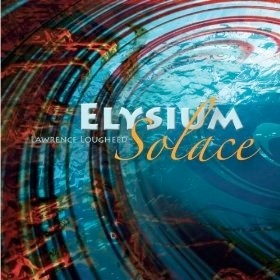 Bluelle is available from www.LawrenceLougheed.com, Amazon, iTunes and CD Baby.